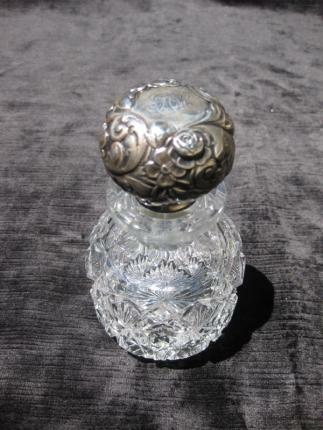 This cute cologne was cut in Hawkes early Brazilian pattern. The entire piece is wood-wheel polished. 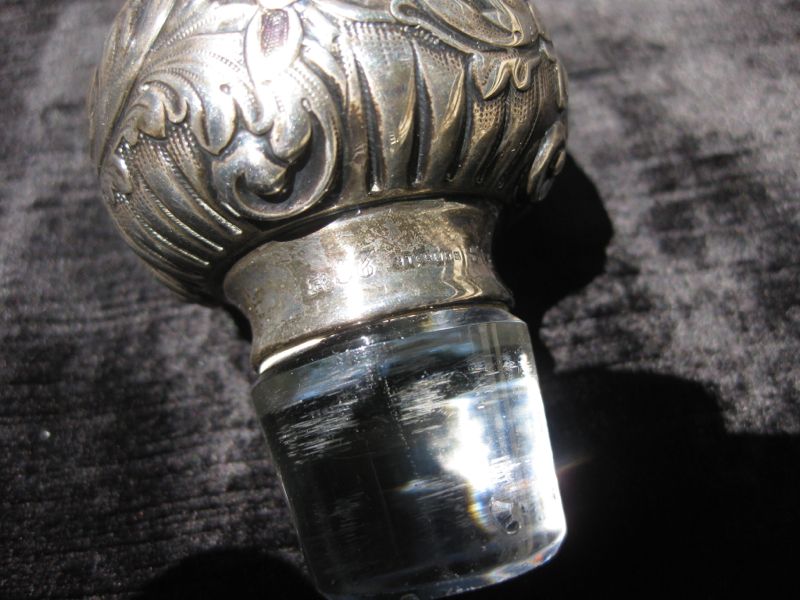 Additionally, the stopper was crafted by Gorham. The sides of the cologne feature deeply cut 8-point clear-button hobstars. Crosshatching falls between all of the points. Fans sprout forth from in between each star and reach a diamond topping off the pattern. The base is finished with a deep, rayed star. The cologne is in great condition and measures . 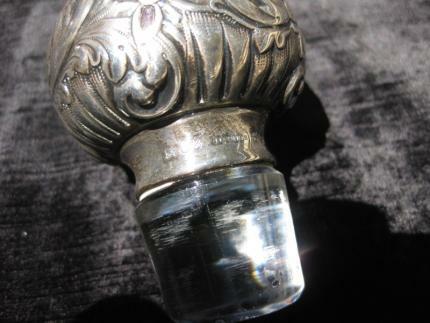 Piece adorned with silver have become highly desirable and will continue to grow in popularity. 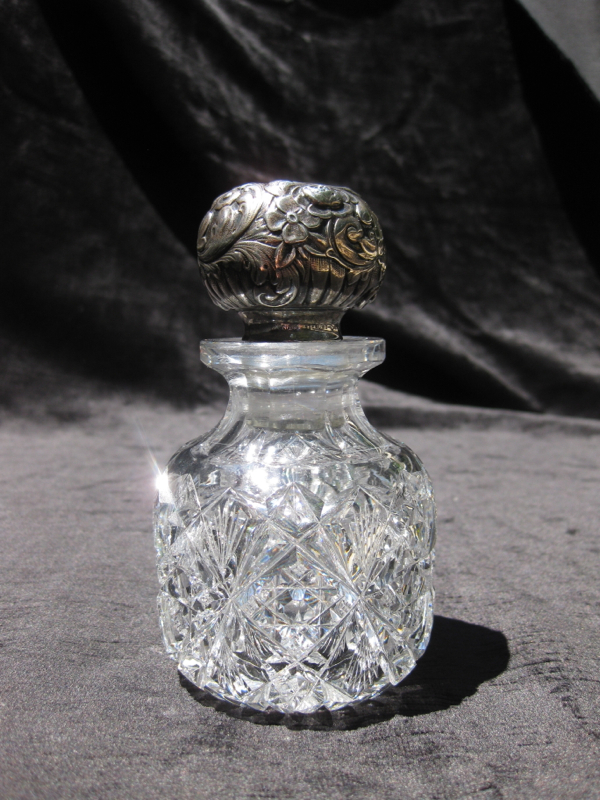 This is a great cabinet piece and a beautiful combination of silver’s lustre and the glass’s brilliance.